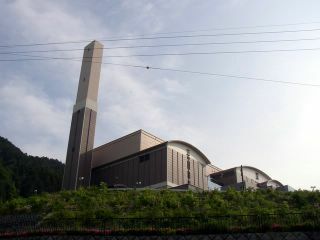 Although the article does not mention which companies nor whether they will actually incinerate the waste in Kyoto incinerators, it would seem highly improbable that these companies use facilities elsewhere, especially when incinerators in Tokyo area are already reaching their maximum capacity and maximum radiation level set by the government. It may seem strange that an enormous amount of nuclear waste may be processed or just stored in Tokyo area whereas the policy for disposal is in limbo. Besides many municipalities are not eager to receive this poisoned business opportunity. The rules have changes once again: these days, cities cannot decide anymore, although in the previous consultation given as a multiple choice survey, “not accepting any waste” was not part of the choices. Nowadays, the Ministry of Environment headed by Goshi Hosono appoints directly private companies to dispose of the waste, hence by-passing any public consultation and shielding any transparency as to where and how it is carried on. Various blogs reported that French ambassador Philippe Faure left Japan this month. France was among the first country to advise expats to quickly leave Japan in March 2011 when the situation was not really critical in Tokyo, provoking mass hysteria in the French community. As reported in SurvivalJapan, it now is critical in Tokyo and the outlook for the whole of Japan is negative essentially due to dangerous policies. French Embassy website recommendations towards the French community repeats the same message as the Japanese government, i.e. all Japan is safe but Fukushima – meanwhile the ambassador left the country. French Embassy therefore joined German Embassy in its officials fleeing Japan (Cf. Nuclear Crisis Causes Vacant Posts at German Embassy in SurvivalJapan). It is rumored that Yukio Edano, chief Cabinet secretary in the previous administration and responsible for the nuclear crisis mismanagement before becoming the current Minister of Economy, had sent his family to safety in Singapore since March 11, but would sue anyone supporting this rumor. US ambassador John Roos still holds his position in Tokyo so far. Such is the title of the mainstream news Asahi Shimbun article reproduced hereafter. Some citizens are not in denial in spite of massive brainwash and acknowledge that Tokyo is slowly becoming part of the no man’s land as discussed in Greater Tokyo Radio-Positivity Indirectly Confirmed by Kan and CRMS Civil Radioactivity Monitoring Stations in Greater Tokyo Today on SurvivalJapan. Kozue Kono has said goodbye to her life in Tokyo. The 36-year-old had worked in Internet-related businesses in Tokyo, while her husband was also employed in the capital. But in late April, the accident at the Fukushima No. 1 nuclear power plant prompted them to sell their apartment in Tokyo’s Koto Ward, quit their jobs and move with their three young children to Uruma, Okinawa Prefecture, a place that was unfamiliar territory. “If something happens to our children in the future (due to radiation), we, the parents, are responsible for that,” she said. The husband is now looking for a job in Okinawa Prefecture. According to an Asahi Shimbun survey based on Ministry of Internal Affairs and Communications statistics, the number of people who moved out of the Tokyo metropolitan area (Tokyo, Kanagawa, Chiba and Saitama prefectures) exceeded the number who moved into the area in June and July. As a result, the total population in the metropolitan area decreased by about 4,000 in the two months. In Tokyo alone, the population dropped by about 6,400. Although the decrease may seem small for Tokyo, which still has a total population of 13.18 million, the population in the capital normally rises in the spring to summer months when people land jobs or enroll in universities. Thousands of people from the stricken Tohoku region moved to Tokyo during the same period, but the overall population still dropped. Since the March 11 earthquake and tsunami triggered the nuclear crisis, companies have dispersed the functions of their head offices from Tokyo to other prefectures. And residents continue to move to western Japan and other areas to avoid possible nuclear fallout. In addition, the number of registered foreign residents in Tokyo has plummeted by about 10,000 since March 11. Kenko.com Inc., which sells health food and other products on the Internet, set up an office in Fukuoka in May. By the end of August, about 30 of its 100 employees had been transferred to the new office. Immediately after the March 11 disaster, the company was swamped with orders for mineral water and paper diapers. But the phone lines were sometimes jammed, making it difficult to talk with suppliers. In addition, some employees could not come to work in Tokyo because of rolling blackouts in the Kanto region. The company plans to move half of its employees to Fukuoka by the end of this fiscal year. Feynman, an information technology venture company in Tokyo’s Shibuya Ward that develops software for smartphones, transferred four employees to Ogaki, Gifu Prefecture, after the March 11 earthquake by renting a room in an industrial complex for IT companies. Although the employees later returned to Tokyo after the threat of rolling blackouts subsided, Feynman plans to maintain the room in Ogaki to disperse the risks in the event of another emergency. Junko Niwa, 38, left her house in Kamakura, Kanagawa Prefecture, three days after the March 11 quake, fearing her 4-year-old daughter could be exposed to dangerous levels of radiation. After moving to the homes of relatives and acquaintances, she settled in Kagawa Prefecture with her husband and daughter. “If we live in regions west of Osaka, we don’t have to worry about food or water,” she said. She still travels to Tokyo every week for her work in environmental activities. Most of her income is used for transportation. “I don’t mind the transportation fees at all as I am living in a place far from radioactive materials and, therefore, can feel at ease,” she said. Among the non-Japanese who left Japan from April to July, about 4,500 of them were South Koreans. The Seoul and Shanghai offices of Akamonkai Japanese Language School based in Tokyo’s Arakawa Ward has tried to convince people wanting to study in Japan that “Tokyo is safe.” Nearly 100 of its students returned to their home countries from April to June. The number of new students who plan to enroll in the language school in October is down 5 percent from the same month last year. “Some students said they plan to go to other countries to study. Next year is the crucial year for our school’s survival,” said Tokiyoshi Arai, the school’s managing director. According to Kannichi Fudousan, a real estate company in Tokyo’s Shinjuku Ward that mainly handles rental accommodations for South Koreans and Chinese, the number of canceled contracts nearly doubled from March 11 to May. Link to the article on asahi.com. Exporting livestock from the no man’s land is a dangerous, untraced activity which concerns tens of thousands of cows, pigs, chicken, etc. already gone through the distribution channels nationwide. The lack of precautionary principle is a source for further concern with contaminated people and pets circulating freely throughout Japan and spreading their slightly radioactive waste in cumulative amounts in the waste system and in the water resources. Should the crisis had happened in the United States, stringent army-backed containment policies would have been implemented around the no man’s land, i.e. here around eastern Japan, just as can be the case during an epidemic outbreak. Last night, I suddenly thought: what would happen if say the United Nations decided to place a containment on Japan, including its residents, to make for the utter lack of cautiousness of Japanese government? We expats, who ponder everyday whether to stay or to go, would have then but one choice: become Japanese and accept our fate for us and our children. Interestingly enough, it makes us see the situation through Japanese glasses as most already have nowhere to flee and hide. After a bad night, I discussed this nightmarish thought with an expat friend who told me that it was actually under consideration in “some circles” that nobody may leave Japan from next year on. Such rumors create mass panic which we want to avoid – but I felt like waking from a nightmare into another one. What if indeed? We better watch the move of foreign officials leaving Japan to get some hint. An objective Daily Yomiuri Online article with same title but for a shy N word speaks for itself and is reproduced below. If the head of the economic department does not want to return to Tokyo, there must be an educated reason. After all, we are well past the first hysteric wave of expat departures in March. BERLIN–The German Embassy in Tokyo is having difficulty filling up to 10 posts–about one-fourth of its diplomatic staff positions–as German diplomats are reluctant to come to Japan due to radiation fears stemming from the crisis at the Fukushima No. 1 nuclear power plant, it has been learned. According to sources, the vacant posts include important positions such as the heads of the economic department (minister counselor), political section (counselor) and cultural section. After the March 11 Great East Japan Earthquake triggered the nuclear crisis, the German Embassy evacuated from Minato Ward, To-kyo, to Osaka Prefecture from March 18 to April 29 in the belief the situation would deteriorate. During this period, some embassy officials returned to Germany and did not want to return to Japan. Other diplomats refused to be assigned to Japan, even though they had previously agreed. A source close to the issue said it was doubtful the vacant posts would be filled before next summer. “The embassy is not working as smoothly as it should,” the source said. It is rare for German diplomats to leave their families at home if they are assigned abroad. Therefore, when their families object to an assignment, they are unlikely to accept an overseas posting.